The government dug through the history of over one hundred illegal alien "parents" caught invading America with their children. The results were exactly what you'd expect (if you're not a Democrat who watches MSNBC all day). The Trump administration said Thursday that nearly half of the children ages 5 and under who were separated from grown-ups at the U.S. border can't be reunited with their parents, mostly because many of the adults are violent criminals – and some lied about being the minors' parents. President Donald Trump had claimed Tuesday that illegal immigrants and human traffickers were 'using children' to manipulate America's immigration system and make it easier for adults to enter the U.S. without papers and remain there. 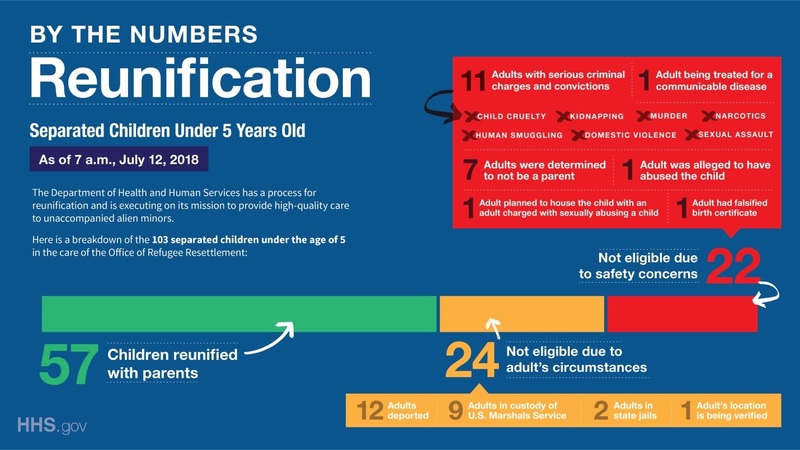 Of the 103 minors in the youngest age group, the administration has reunited 57 with parents, but the other 46 are 'ineligible,' the Justice and Homeland Security Departments reported. 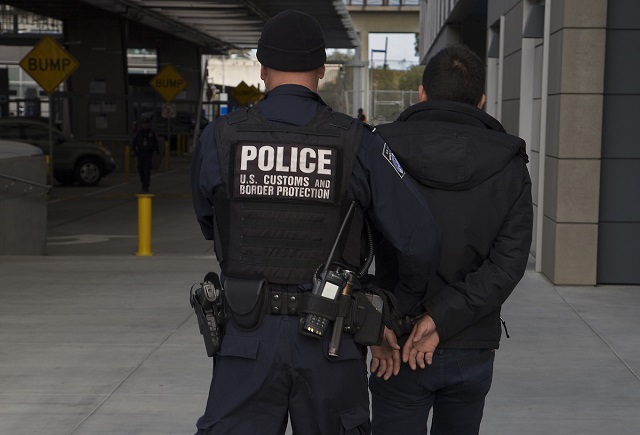 Eleven of the adults have 'serious criminal histor[ies],' the agencies announced, including charges or convictions for child cruelty, kidnapping, murder, human smuggling, domestic violence and narcotics-related crime. Seven more were 'determined not to be a parent' at all, including three whose deception was discovered through DNA testing. Meekins described one adult who said he was a parent 'right up until the time of a DNA swab,' and then retracted his claim.